But despite its beauty, this bloom indicates a significant danger. While the plankton is not toxic in itself, it blooms when there is significant runoff in the water. So it’s a sign that there is great pollution in the area. 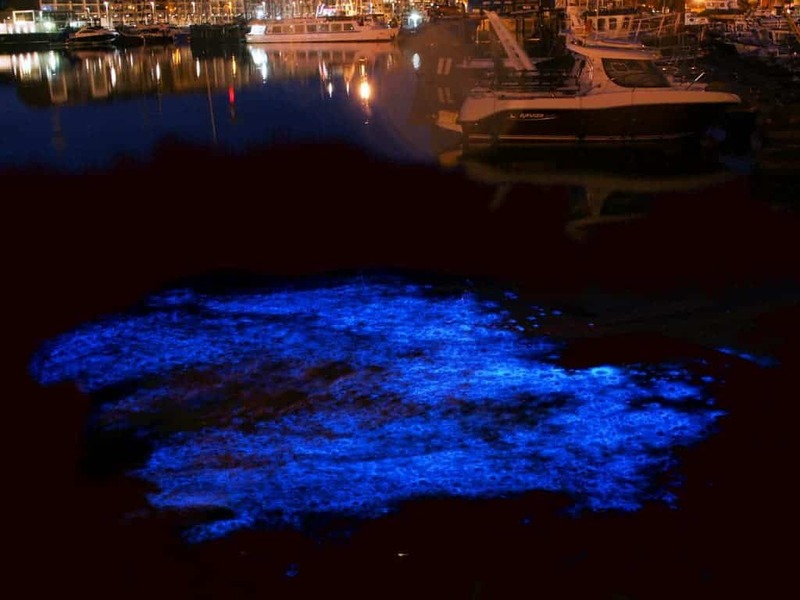 Indeed, Noctiluca can also deplete the oxygen of water, causing significant environmental damage and potentially wiping out the water’s other inhabitants. In the Arabian Sea there is an area about the size of Texas blooming with this plankton, and not much else can live in those waters. If water pollution continues, the same might happen in Hong Kong. The bloom’s end is actually the most dangerous part. As the tiny organisms perish, they sink to the bottom of the sea, decomposing and consuming huge quantities of oxygen. “That’s when we have the formation of these dead zones, where anything that’s living, any fish or crab species living on the bottom, is at risk of dying from the low oxygen associated with that decomposition,” Baker said. After something happens, it’s very difficult for the wildlife to bounce back.